If you are currently planning to get a mobile Web site done for your business, then you are certainly on the right path. If done right, a mobile Web site can help you sell more products, engage your customers and even make sure that you get new ones into your door. 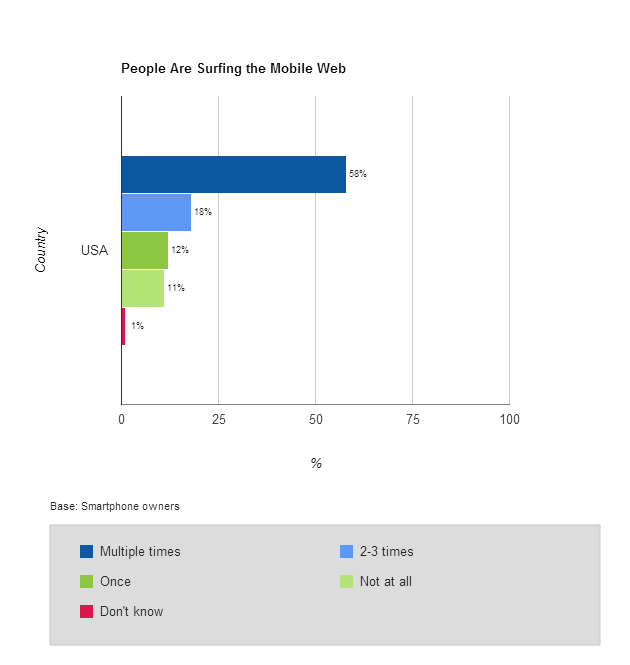 There is a misconception that it is pointless to get a mobile Web site because people are just sitting in front of their computers when they do their searches. But the truth is, with the increasing number of people owning smartphones and tablets nowadays, a lot of them are using these mobile devices to search the Internet! First, did you know that 44% of people in the United States now own a smartphone rather than a feature phone? That is right. Almost 1 in every 2 Americans now have a smartphone that they can use to search for your products and services whenever and wherever they are. More than this, did you know that 88% of all smartphone owners in the United States surf the mobile Web at least once a day, every day? In fact, close to six out of every 10 smartphone owners have multiple online sessions using their phones. What this means is that your mobile Web site will be ready for primetime as soon as you launch it. Your customers are already on the the mobile Web and it is just a matter of time before they try to look for your business on it. Are you ready to put your best foot forward when they do? Keep in mind that it is not enough to use your desktop Web site as your mobile Web site. Chances are, your desktop site will not display properly on the smaller screens of smartphones and tablets. 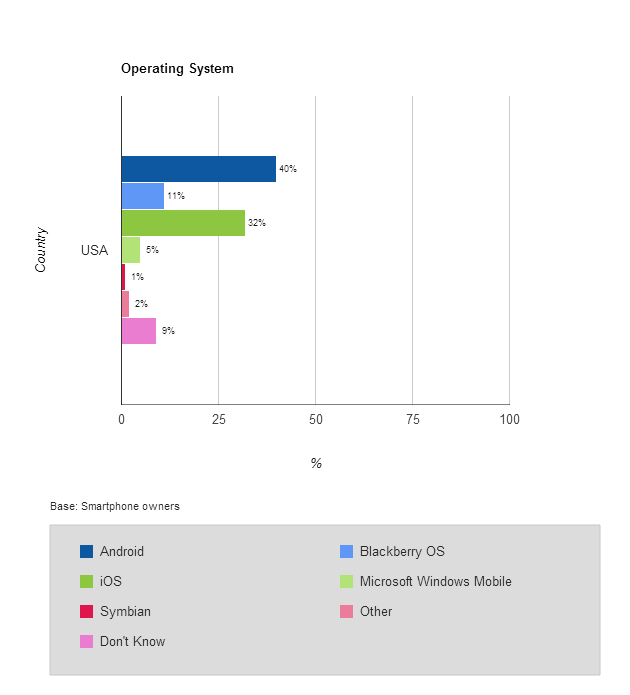 17% either did not know or used other mobile operating systems. What this means is that if you are mainly targeting the US market for your marketing, it helps to optimize your mobile Web site for Android and iOS devices. The good news is that it is very easy to design a mobile Web site. Call us now and find out how you could get a mobile Web site up and running in no time and without breaking the bank!